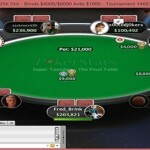 AnyGameSir of Poland won the Super Tuesday event at pokerstars and collected the first prize of amount $103K. He defeated flong78 of UK’s. 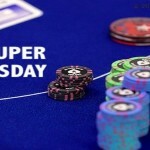 This $1,050 No-Limit Hold’em Super Tuesday event took place on March 22, which attracted 547 players and generated $547,000 as prize pool. Top 63 places of the event were paid. Seat#1 belongs to The Mooks of Canada, seat#2 goes to AnyGameSir of Poland (568,452 in chips), seat#3 is for Jasven “jasven06” Saigal of India with (132,438 chips), seat#4 to a canadian named oldchilli(298,085),seat#5 was for another Canadian Seth “SFisch4” Fischer(220,703),sea#6 was for UK’s: flong78(639,280), German : Bernd “LR-President” Vogelhuber was allotted at seat#7 with total 117,036 in chips, whereas Kartt of Brazil was at seat#8 and Chris “Big Huni” Hunichen of Costa rica was at seat#9. First elimination was of German Bernd LR-President” Vogelhuber, who took home $9,080 being at ninth position. 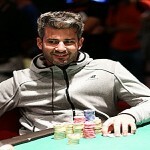 Then Jasven “jasven06” Saigal of India got out with total $12,307 and secured eighth position. The seventh position belongs to Chris “Big Huni” Hunichen of Costa Rica with total winning share $17,777. After a couple more hands Canadian oldchilli hit the rail for $23,247 and completed at sixth place. Canadian The Mooks finished for fifth place with $30,085. kartt got eliminated at fourth for total $42,666 and Seth SFisch4″ Fischer of Canada got third place. The heads up took place in between top two and they were AnyGameSir and flong78 and it was AnyGameSir who won the match for $103K. This was the 22nd march 2016 super Tuesday result, which is a weekly tournament played on leading online poker portal i.e. PokerStars. If you are also looking Participate in any such games, you can do it without any problem. You would also receive an amount of Up to $600 as welcome bonus. Check this out and have fun.